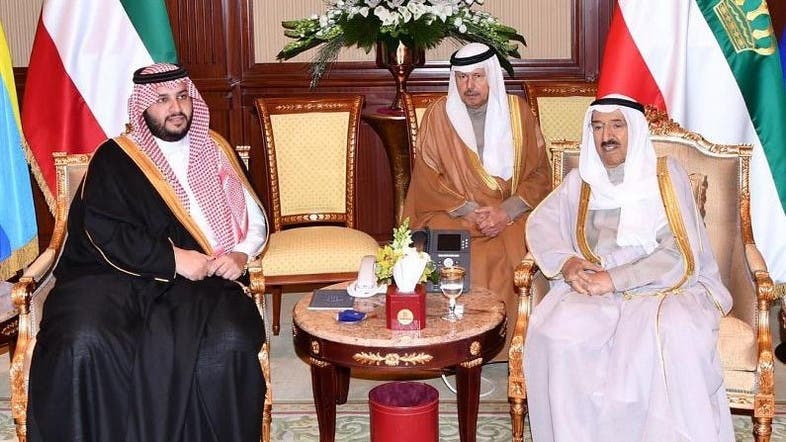 Saudi Arabia’s King Salman bin Abdulaziz Al Saud has sent a verbal message to Kuwaiti Emir Sheikh Sabah Al-Ahmad Al-Jaber Al-Sabah. The message was conveyed by Prince Turki bin Mohammed bin Fahd bin Abdulaziz, Advisor to the Saudi Royal Court during his meeting with the Emir of Kuwait at Bayan palace on Tuesday. “The message pertained to deep-rooted relationships between the two countries and their peoples,” a statement on SPA read. The audience was attended by Prince Sultan bin Saad bin Khalid, Saudi Ambassador to Kuwait and a number of Kuwaiti officials.